In June 2016, the IwB organized the second year of the Future Ways of Living International Summer School at the Cascina Triulza, which is located on the World Expo site in Milan, Italy. For this event, the IwB partnered with Meet the Media Guru (MtMG), The World Design Organization, Politecnico di Milano, Cumulus, Fondazione Triulza and Arexpo, and brought together more than 60 participants from different academic and professional disciplines. Participants were asked to co-create designs that envisioned the infrastructure, systems and services required to ‘build a Global Village’. Following the eight-day summer school, the IwB designed and curated an exhibition at the Cascina Triulza, showcasing the project outcomes as part of the Triennale: 21st Century Design After Design International Exhibition. The objective of this event was to design infrastructure, systems and services that accommodate ‘future ways of living’ on the former Milan World Expo site, offering a 21st century vision of participatory urbanism. 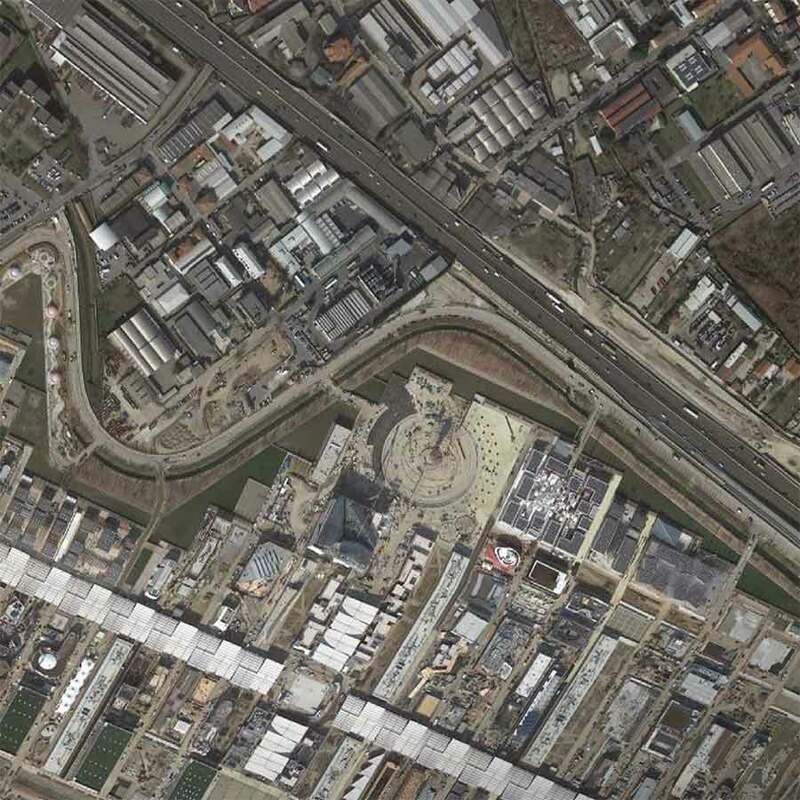 The future of the Expo 2015 grounds is undetermined, creating an opportunity to imagine the future. In the early to mid-twentieth century, the World’s Fairs emerged as platforms for forecasting future technology trends. Scholars also began asking about the social impact of new technology. Marshall McLuhan argued that technology’s impact would be radical and all-encompassing. Terms like “medium is the message” and “global village” have become slogans of our contemporary world. The 2016 Summer School built on the results of the 2015 Future Ways of Living Charrette, an event conceived by MtMG and the IwB to think about the social impact of new technology and the continuing relevance of the World’s Fairs. The 2016 Future Ways of Living Summer School explored the concept of a ‘future global village’, and asked event participants to imagine what a global village would look like in the future, how it would work and what value systems this community would share? Using the former Milan World Expo site as a case study, seven project teams were created to focus on the following areas: mobility, culture, food, education, health and wellness, work and shelter. Teams had to address critical questions including: What infrastructure, systems and services are required to facilitate seamless sustainable mobility? How will the exchange of ideas and culture form new ways for people to participate in the local and global economy? How can aggregated data from the food system be communicated and disseminated to allow for better decision making as it relates to our personal and collective well being? Participants were asked to think through and design systems that would demonstrate new concepts for mobility, culture, food, education, health and wellness, work and shelter in the future global village. The project teams were asked to do formal presentations and also deliver their concept as a 20-page book spread (mini-publication) that included infrastructure, system and service visualizations for their proposed projects. Additionally, each team designed a 3D printed, visual icon representing their ‘big concept’. The teams’ findings will be used for a future book publication and film–both called, Future Ways of Living: Imagining a Global Village. The book, exhibition and film form a gift and legacy to the Triennale di Milano and Arexpo Corporation from the IwB and MTMG. In view of the success of the Future Ways of Living 2015 & 2016 events, the IwB and MtMG are planning a Future Ways of Living Summer School for 2017. 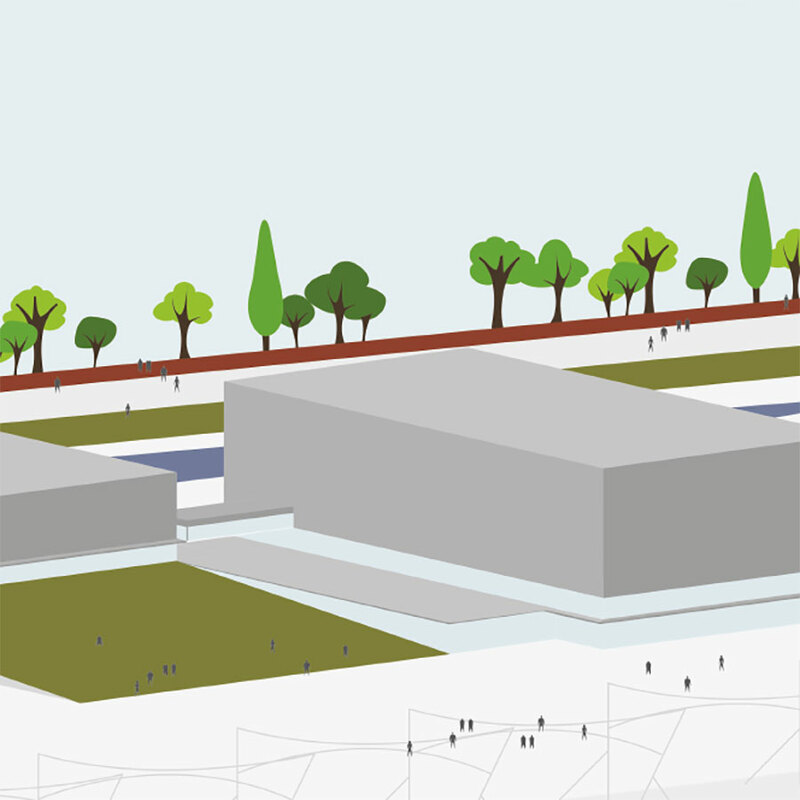 To find out more, view the summaries of the charrette design proposals. Team 1 explored how to design a mobility system for a site that currently has no defined plan. Their project,“Reactive Transportation,” creates moments of mobility on the former expo site that can help define the built form and facilitate both short and long term mobility within the area and the greater region. The project achieves this by creating three distinct levels: A below-grade system that is fully automated, an at-grade system that encourages active transportation and an above ground system that is an elevated linear transportation system. Team 2 explored how social and cultural programming could become a vehicle for co-creation and public engagement on the expo site. Their project, “Gravita”, is an evolving system bringing together individuals, artists, designers and educators to participate in co-creative cultural opportunities. The project achieves this by proposing a new co-funding and co-creation model to sustain cultural development on the site. Additionally, the project proposes multiple design interventions to increase public engagement including a 360 film theatre and data visualization dome making the expo site an exciting hub for local residents and international visitors. Team 3 explored how they could design experiences around different components of the food system on the grounds of the expo site. Their project, “The Big Kitchen of Milano”, uses the experiences we encounter with food in our everyday lives as a catalyst for designing urban spaces and shaping human interactions. Using the five major systems of food, production, consumption, waste, storage and distribution, the project introduces a pixel-based strategy that allows us to re-imagine and experiment different ways that our global food system can become more functional and responsive. The project proposes a “system of units” in which food storage becomes an above and underground warehouse cube operating as a “bank” to help manage the awareness around consumption levels, and where food production becomes a passive garden for public gathering and social engagement. Team 4 explored how they could facilitate the exchange of knowledge in a way that opens the doors to limitless learning opportunities. Their project, “Limitless”, offers the scaffolding for an open, flexible educational system by creating formal and informal learning opportunities throughout the expo site. 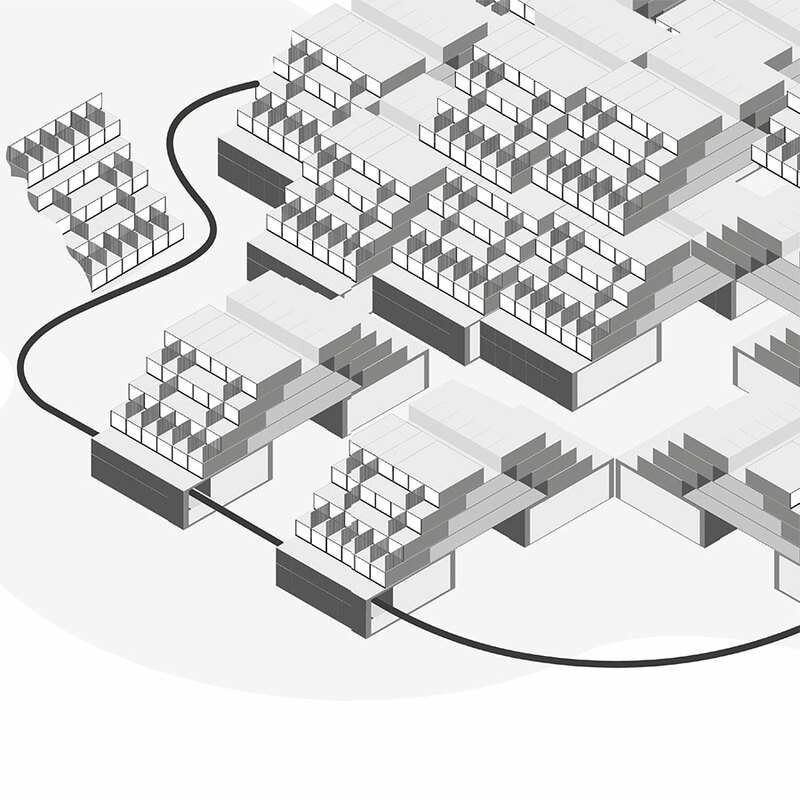 The project proposes new infrastructures such as multi-functional hubs and pods, a customizable virtual educational platform and an engagement strategy for co-designing relevant, localised learning experiences in both private and public spaces. Team 5 explored how data and technology could be used to improve the global healthcare system. Their project, “The City of Wellness”, focuses on four fundamental principles: availability, efficiency, attention to prevention and a new management of data. The project proposes a data-driven health & wellness system that automates first level non-emergency diagnostics in order to decrease burdens on the current system. Additionally, the project proposes facilitating direct interaction with end users around health and wellness information by digitizing communication with first level patients. Team 6 explored how they could design infrastructures, systems and services using big data and cognitive science to reshape collaborative work processes. Their project, “Ral.ly”, envisions a future research and data analytics company that maps the skill genome of professionals around the world in order to assemble “super teams” capable of delivering any project. The project explores theoretical methods for developing a custom software that systematically assesses the adaptive competencies associated with different learning styles (interpersonal, perceptual, analytical and behavioural) with the objective of building the largest database of global creative professionals. Team 7 explored how they could involve citizens in the planning and management of the expo site’s built infrastructure and social system. Their project, “Empowering Everybody,” proposes the creation of a Global Village – a place created and re-created, designed and redesigned by the citizens allowing for co-ownership, co-creation and commitment of the expo site. The project achieves this by creating a participatory investment strategy in which citizens purchase public and private pixel shares on the site. The expo grounds consists of 1,100,000 million square meters of land opening the doors to 1.1 million opportunities to co-create meaningful spaces and activities that can bring the site back to life.